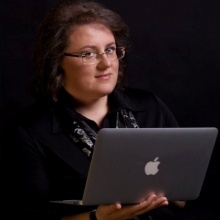 Olga Bereslavskaya - entrepreneur and social media professional. MBA (EMBA) Professor at Russian and foreign business schools. Collaborating with venture capital funds, business incubators, and accelerators as a mentor and advisor of startups. As an Angel Investor she has developed such projects as "Amazing Hong Kong", and others. She teaches a number of master-classes about entrepreneurship, start-ups, social media marketing, and strategies business modelling. Within the framework of international activities Olga has various projects related to business education, promotion of Russian companies in western and eastern markets, management of company study experience. Prior to 2007, she used to work for numerous years in the corporate sector as a financier, auditor, project manager, methodologist and ideologist of corporate management systems. In several joint projects with Hong Kong startup sites, she has trained startup teams to present their projects for investment and grants. In January 2013, Ms Bereslavskaya launched a community page "Amazing Hong Kong" on Facebook and at first considered it only her leisure hobby. The project grew into a powerful social network page about Hong Kong's real life, people, nature, skyscrapers, entertainment, products, and cuisine. The users can find necessary information about Hong Kong, a short description, links and pinpoints on a map. The "Amazing Hong Kong"shares a motto: "Use it! Start with Amazing! And welcome to Hong Kong!" By now it has become a successful start-up and a very popular and prospective resource for promoting Hong Kong opportunities. Within half a year the project has gained 460 000 followers and has become the second most popular site on Facebook promoting Hong Kong as a tourist capital of Asia. The project's target audience are young, active people from all over the world. Today more then 160 million people have seen this Facebook page! It also won the «Success Story of the Year 2013» in Hong Kong (HKTDC)! Amazing Hong Kong is a platform for communications with potential tourists to Hong Kong; targeted and friendly audience, who will make use of partner companies' services; a platform to sell products and services to potential tourists; advertising space for hotels, restaurants, travel agencies, airlines, and on-line shops. Another one of Olga's activities is worth mentioning: she is a personable, versatile, and challenging Professional Certified Coach for The Ken Blanchard Companies®. Her passion for the coaching profession began over 10 years ago, and she believes that coaching can transform organizations starting with each person at a time. Olga also believes in building and improving the strengths of individual leaders so that they can achieve long-lasting results. Olga is a co-founder of the European Association of Cultural and Emotionally Intelligent Projects and responsible for the digital projects and activity. She has a small social media agency for promotion companies and public people in the social media. Also she have a number of client for the topic of personal branding!